The developer of 78 Fort Place ditched plants to turn it into apartments and will build a boutique hotel at the site instead. 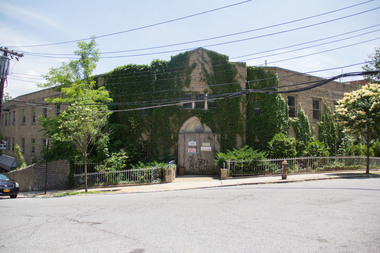 ST. GEORGE — A former convent slated to be developed into more than 30 apartments will instead convert into a boutique hotel, the developer told DNAinfo New York on Monday. Developer George Christo plans to turn 78 Fort Place — which the community fought to stop from turning into a mental health facility — into a hotel after he found the costs of renovations would drive rents up too high. "It would be a complete gut rehab to do that and the rents would be based on construction costs," said Christo, president of Door to Door Realty. "We believe that the use of this space properly will generate not only a really socially relevant location for people to meet from all over the world but at the same time also contribute to the community." The proposed hotel would have a mix of rooms for shorter stays as well as eight two-bedroom apartments with a doorman for visitors who want to be in the neighborhood for several months, said Christo. It would also have shuttle service to the Staten Island Ferry for guests. Plans also call for a roof deck, gardens, gym, sidewalk cafe, art exhibition space, meeting rooms for community groups, a parking lot and more. Christo also wants to build a 75-seat auditorium that can house a local film festival and a shared kitchen to feature rotating chefs. The spot will be the third hotel in the works for the neighborhood, with the Empire Outlets development building a 190-room hotel on the site and a $100 million, 175-room Westin hotel coming to the Lighthouse Point project. Theo Dorian, president of the St. George Civic Association, said residents are still relieved the site won't be turned into a residence for mentally ill patients but have concerns over safety in the neighborhood with the hotel. "People seemed pretty open to him, so far what we hear sounds good," Dorian said. "Of course people do have concerns. This particular plan sounds very good, it sounds like just the right kind of use for that property." While members of the civic association were receptive, it got mixed reactions from other residents nearby. Members of the neighborhood's Facebook group wrote they were in favor of the plans, but others hoped it would stick to apartments instead. "I was hoping for permanent residents, who believe in the community, invest in the well being of the community, and want to make it home," Jacqueline Smith wrote in the St. George Neighborhood by the Ferry Facebook group. "Although intriguing, the transient nature of it is a concern." In 2005, St. Vincent Catholic Medical Center revealed plans to turn the building into a state-funded residency for 59 mentally ill patients, but was met with heavy resistance from residents and elected officials, the Staten Island Advance reported. The state approved the plans and St. Vincent bought the building with $3 million from the Office of Mental Health in 2008, the Advance reported. The site changed hands in 2011 when St. Joseph's Medical Center bought the bankrupt St. Vincent for $38 million. That year the St. George Civic Association and several other community groups sued the state and St. Joseph's to block the plans. Christo bought the building in 2015 to develop it into apartments and the suit was eventually dropped. Eventually he figured it would be too costly to turn it into apartments and came up with the hotel plan instead. Christo, who lives in the neighborhood himself, said his firm is in the process of writing up a zoning request for the Board of Standards and Appeals to convert the site into a hotel and expects it would take up to two years to build it after approval. With mega-projects such as the New York Wheel in development near the waterfront, Christo hopes his hotel can help attract tourists into the neighborhood itself. "One of the things that's very important for the North Shore of Staten Island is the continuity between the waterfront and the inner community," said Christo. "What we need to do above the rails, above the Bay Street line, is create culturally relevant locations that can attract travelers and locals alike so that it doesn't become a desolate, gloomy area."